The Kavery Educational trust conducts scholarship exam every year. 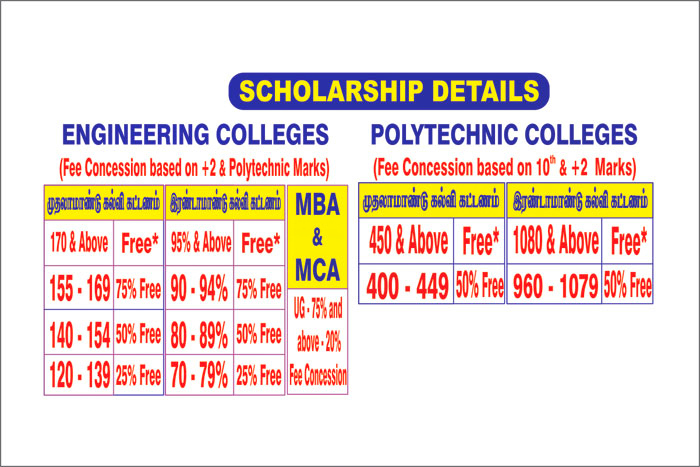 Full Fees concession are given to students who score top marks in scholarship exams. Also full fees concessions are given to students who have 180 and above cut-off in Higher Secondary examination. 50% fee concessions are given to students those who have 150 -179 cut- off.